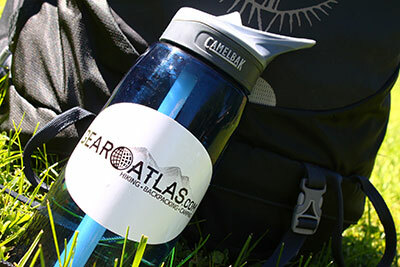 About GearAtlas.com | GearAtlas.com – The ultimate resource to compare Hiking, Backpacking & Camping Gear! Howdy! My name is Steve and I’m the creator of GearAtlas.com – I am outlandishly passionate about hiking, backpacking and camping in the great outdoors. Unsurprisingly, I’m as equally passionate about the gear that allows you to enjoy those activities to their fullest potential. I’ve always been a major stickler for details when it comes to just about any product in life. When buying breakfast cereal, I’m the guy who has two or three boxes clumped together so that I can carefully compare the ingredients and nutritional info side by side. When it came time to buy a new lawnmower this past summer, I furiously launched about fourteen different web browser windows, populating each one with all the different mowers from the various home and garden retailers in my area (Northern Utah – home of some of the most amazing trails in the USA! ), as well as from a couple of online retailers as well. After roughly 20 hours of combined research, I knew just the right mower for the job and triumphantly walked into a local store to purchase it. But guess what? I’m not even particularly passionate about breakfast cereal or lawnmowers, so you can only imagine how much time and energy I pour into researching and comparing hiking, backpacking and camping gear! Let’s just say I’ve tried out more backpacks in a year than most people will use in an entire lifetime. I’ve had the privilege of crashing on a countless number of sleeping pads and can joyfully recite the key specifications (weight, dimensions, r-value, thickness) for dozens and dozens of pads off the top of my head. I have geeky gear dreams of appearing as a guest on a fictional TV game show called “The Spec is Right” where the host asks contestants to name the EN temperature rating of various sleeping bags. Let’s face it. I need help. GearAtlas.com is that help! I created this site knowing that there are thousands of other gear fanatics out there who also love to compare gear, but are tired of scouring dozens of different manufacturer and retailer websites to piece together the information that they need to make the best decision possible. Additionally, I’m also very passionate about having an organized backpack and keeping my load as lightweight as possible. For this reason, I created the Gear List tool, which allows gear lovers to quickly and easily create an organized list of the gear they own, or the gear that they would like to own (think of it as a wish list). This tool will automatically calculate the weight of everything carried and will help you identify areas where weight can be shaved. In closing, I thank you for your interest in GearAtlas.com and hope that it serves you very well in your hunt for the best gear at the best prices. Please don’t hesitate to contact us if you have any questions or feedback, we’d love to hear from you.